As the nights start to draw in and track tights and long sleeved tops are checked for fit does this herald that the boys(and girls) of summer are sneaking into hibernation? Not a chance, approx one in ten of the club donned the vest in the past week and decided to do the right thing and give their best efforts. 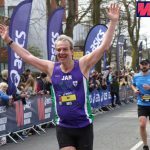 First mention goes to Jason Harding,who has quietly and steadfastly worked toward a goal of racing at the British Masters in the steeplechase, this is as the name suggests is open to the very best athletes in the Isles and Jason’s Silver medal is an astounding effort that is worthy of much praise. Enjoy yourself,a bit, seemed to be the mantra at the Acklam Grange School 5k this weekend ,a tough course saw (deep breath) Karen Hooper, Jill Young, Mike Parker, Elaine and Neil Jennings,Karen Byng,Debbie McFarland,Robin and Helen Linton,Rachel Leigh Firbank,Celeste Veitch,Katie Davison,Mark Herkes,Natalie Stones Johnson,Diane and Stephen Soulsby and Alison Heslop all racing. The list there seems pretty epic but for a race of truly massive proportion try 63 miles running across the Yorkshire dales from Guisborough to Filey(that’s a hell of a way to get fresh fish and chips)this was managed by Aaroon Gourley and Sue Jennings a massive effort in itself,however Sue has now completed an absolute monster of a series running a huge amount of very tough miles, through the night at times and in weather fair and foul again applause a plenty hard earned and very much due there. The A691 felt like a Ghost town on Sunday morning due to road closures this was to allow mens VC Graeme Walton (and others) to tackle “the beast”a 60 mile bike ride that had approx 4000ft of climbing. Long distance seemed to be the order of the day for a few striders,no doubt the solitude offering scenic views and a break from the rat race,as around Northumberland Tim Matthews,Helen Tones and Juliet Percival went on the St Oswalds Ultra completing the “shortened ” version of 34,yep 8 more than a marathon, miles. 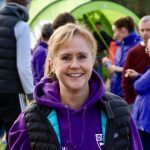 The tiny county of Rutland saw Debbie Jones complete a half Marathon and Kerry Lister (freshish from her efforts at the GNR last week) win her age category in the full version. More Striders were in the prizes at the Sheffield Serpentine with Richard Hockin taking the honours in his age group,Danny Lim was running too and was going well but stopped to help another runner who’d gone down with heat exhaustion(not televised like the Brownlees but equally laudable)who found the effort too much. Too young to remember the glory days of British 4 x 400 metre teams regularly upsetting the odds and taking top prize? Well track captains Lesley and Katy took a few teams over to Monkton last Wednesday, efforts that were applauded by Bill McGuirk,chair of the North East Counties AA, who e-mailed the club to say it was great to see them there representing Elvet,well done to all who ran in the various events. 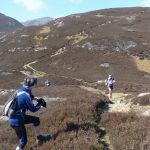 The final fell race of the GP calendar saw Rosalind Layton,Geoff Davies,Steph Piper and Jan Young attacking the hills Jan taking her age category.While Ladies XC skipper Sue took home a haul of veg and cakes and provided support. The Second running of the new Jelly Tea course saw Kelly Collier and Lucy Herkes tackle the roller coaster of a course,numbers were vastly down on last year,perhaps one for the Elvet gang(sters) to tackle mob handed next year? Scott Walton ran in esteemed company and wasn’t far behind double Bob Graham record holder Nicky Spinks on Saturday as he ran the Three Shires fell race. parkrun PB’s were recorded by Trevor Chaytor and Jordi Sabate on Saturday. 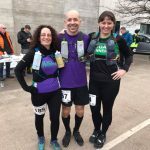 Round and round it goes was no doubt the thought of Nicola Whyte and Louise Barrow who tackled the multi lap South Park race at Darlo,Louise took a distance PB of 15 miles while Nicola finished the full twenty as she prepares for the Yorkshire marathon. Still here? Then on to news of Wednesday- the 8 and 9 min group will be out together in a hilly romp around the city led by Graeme and David Case.Debbie will be leading a run with the 10.30 group,Anna will take a run of 5 miles starting at around 11 min pace winding up to approx ten min.If any run leader ,or anybody feeling confident,could provide guidance for a 4 mile- 5mile run at 12-30 pace please let me know.Also Geoff and Sue will be taking X-C training from 6-20 meeting at the Woodland trust,an e-mail and facebook post has been sent out with full details,this would provide great preparation for those intending to run for a 1st division X-C club this coming season! Final thing, if you have news of yours or others achievements please could I ask Myself,Fiona or whoever is collating the news is contacted directly and solely with the information.It has been pointed out that we send out a fair few e-mails and it helps to keep traffic down and also that way we don’t miss anyone off the list for the week.